The odds where updated at 2019-04-25 12:42:44. We reserve ourselves for any abnormalities. Tottenham will visit Bournemouth in Premier League for a match starting at 12:30 on the 4/5. If you're interested in betting on the match between Bournemouth and Tottenham, we recommend that you do so at Bethard. 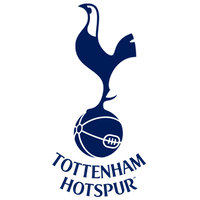 They are providing the highest odds on the favoured team Tottenham, 87/100. If you believe that Bournemouth will win the game, even though the betting companies favours Tottenham, Unibet will give you the best odds of 33/10. In Premier League, Bournemouth and Tottenham faced each other earlier in the season - in a match on 26/12. That time, Tottenham won with a score of 5 - 0. We're listing the best odds for Bournemouth - Tottenham above, so that you can compare them for yourself. That way, you can find the betting company that will give you the best odds for your wager! In the 18 matches played on home ground this season of Premier League, Bournemouth has scored a total of 29 goals, which gives an average of 1,61 goals scored per match. On home ground, Bournemouth has conceded an average of 1,39 goals in this season of Premier League. Looking to the amount of scored goals in away matches, Tottenham has scored a total of 33 goals in the 18 away matches they've played this season of Premier League. Tottenham has conceded a total of 22 goals in away matches during this season of Premier League. In the 18 away matches that Tottenham has played, there has been an average of 1,22 conceded goals per match. 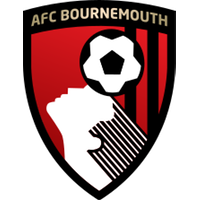 In the 35 matches Bournemouth has played in Premier League this season, the team has scored a total of 49 goals, with an average of 1,40 goals scored per match. During the past season, Bournemouth conceded a total of 62 goals in the 35 matches played in the league. In average, Bournemouth has conceded a total of 1,77 goals per match. Tottenham have in this season of Premier League scored a total of 65 goals. In the 35 matches that Tottenham have played this season, an average of 1,86 goals has been scored per match. During this season of the league, Tottenham, has in the 35 matches played conceded an average of 1,00 goals per match.